Comments Off on Jumbo Mortgages: What is a Jumbo Mortgage and Why Have One? 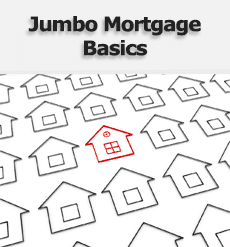 Jumbo mortgages are mortgage loans that are higher than the normal mortgage loan limits. It is not an arbitrary figure, but one set by Fannie Mae and Freddie Mac for residential mortgages. In most areas of the US, a jumbo mortgage starts at over $417,000. In the more expensive urban areas of San Francisco, Los Angeles and New York City, and states such as Alaska and Hawaii, this figure rises to $625,500. What is the Significance of Jumbo Mortgages? That is fundamentally it! It is the sum above which neither of these two bodies will lend the full amount. So where does the rest come from? Private lenders is the quick answer. However, due to the large sums involved, jumbo mortgages tend to attract higher rates of interest. Not only that, but such mortgages tend to be amortized over a 40 or even 50 year period to bring the monthly repayments down to an affordable level. While jumbo mortgages can be lucrative to the lender, there is little point in offering them if the repayments are too high to attract borrowers. Some are even offered on an interest-only basis. This means that the borrower will have to find a lump sum to pay once the interest-free period is over. Sometimes, this involves selling the property to raise the lump sum required. In fact, these were the reasons for so many lenders moving away from offering jumbo mortgages during 2007-2009. As foreclosures increased in numbers and real estate prices fell, jumbo mortgages were either discontinued or offered at higher rates of interest. Sometimes at 1.5 percentage points or more above normal loans! This led to a reduction in interest for the larger homes that required such large mortgages. Not only that, but lenders stopped making money available to purchase them. Consequently, such high-priced properties tended to drop in price. Those with cash to spare held back from investing in real estate as prices plummeted. However, various government initiatives helped the housing market to recover, and jumbo mortgages are back on the menu. This has helped to boost sales of luxury homes. Nevertheless, a higher down payment is applied for such luxury homes, which tends to limit refinancing a jumbo mortgage loan can be more costly.